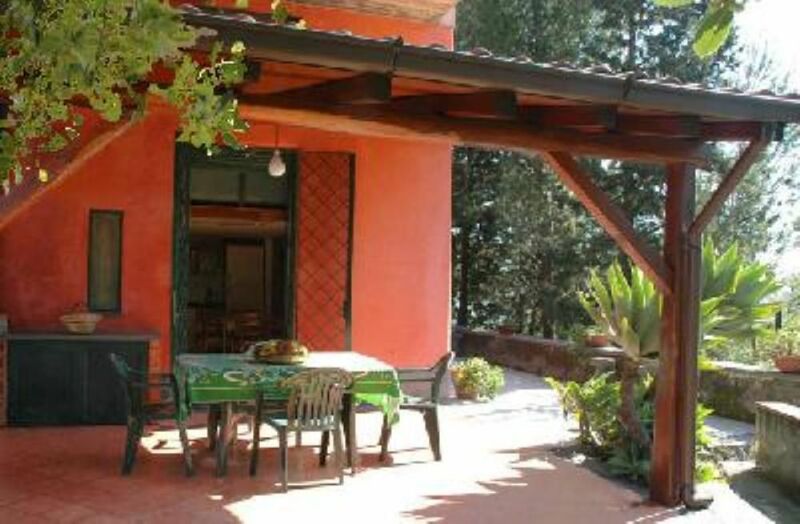 Typical Sicilian construction at the foot of Mount Etna, surrounded by green and smelling the scent of orange blossom, is the ideal place for a stay of culture and relaxation. The house, located at Mascali, between Catania and Taormina, is an excellent starting point to visit the magnificent tourist sites in eastern Sicily. The fully furnished house is composed of a bedroom, kitchen, bathroom, living room with a sofa bed. Equipped with all the comforts, has two terraces with stunning sea views and Etna and a large private car park inside the property. "Antonio the owner of the house was very helpful and the house was clean and equipped with all the amenities. Quiet surroundings and very relaxed atmosphere in the evenings and mornings to dine outside with the garden surrounding the house. We could see the view of Etna from the back of the house and the view of the sea from the terrace in the front. The house was not difficult to find as Antonio provided us with a detailed map." "Very friendly accommodation with fully equipped facility. Close to beautiful sea coast ans great not just for beach leisure but also for speargun fishing ans freediving. Easy to find. We advise to visit Riposto with outstanding fish market and restaurants. Owner Antonio is an attentive, generous and helpful. It was our best accommodation at Sicily. We highly recommend staying at this apartment. Car is necessary." "Between a railway and a motorway but you would not know it. Perfectly equipped, spotlessly clean, private and quiet garden (except for the neighbouring guard dogs) but with the added bonus of the perfect owner, Antonino was a welcome introduction to the real Scicilians after a stay in Palermo." "The property is charming and spotless and better than the photographs. The owners warm and friendly." I found the property very good for access to the main tourist attractions and also not far from a local beach. The house was situated in an area where you can enjoy the peace and quiet sitting on the terrace. The house is ideally located for touring, but quiet enough for some peace and tranquility. We thoroughly enjoyed the terrace with its amazing views and the charming hosts.